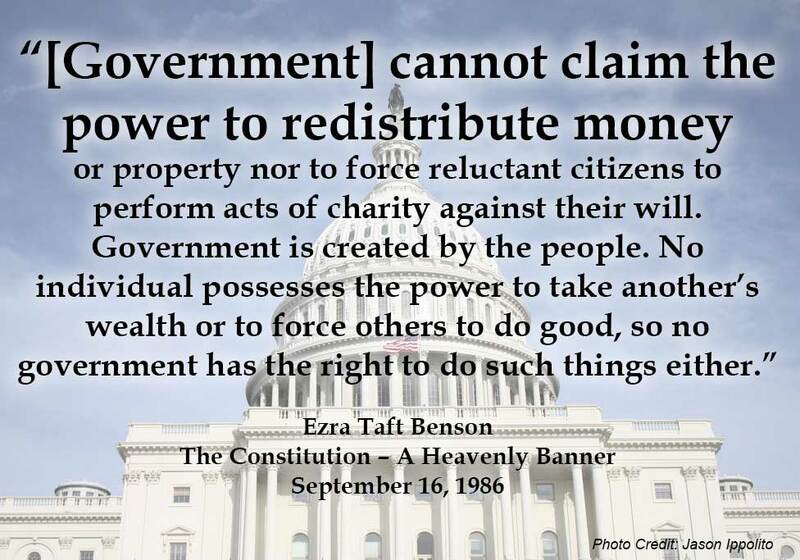 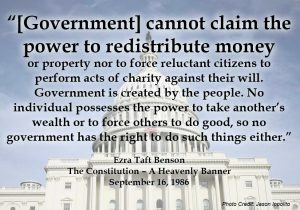 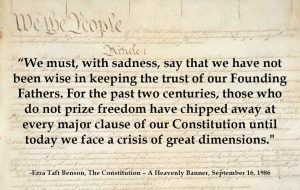 The Constitution – A Heavenly Banner is a talk that President Ezra Taft Benson gave at BYU on September 16, 1986. Though the audience was the university staff and students, Jeffrey R. Holland said the message was directed to all members of the Church. 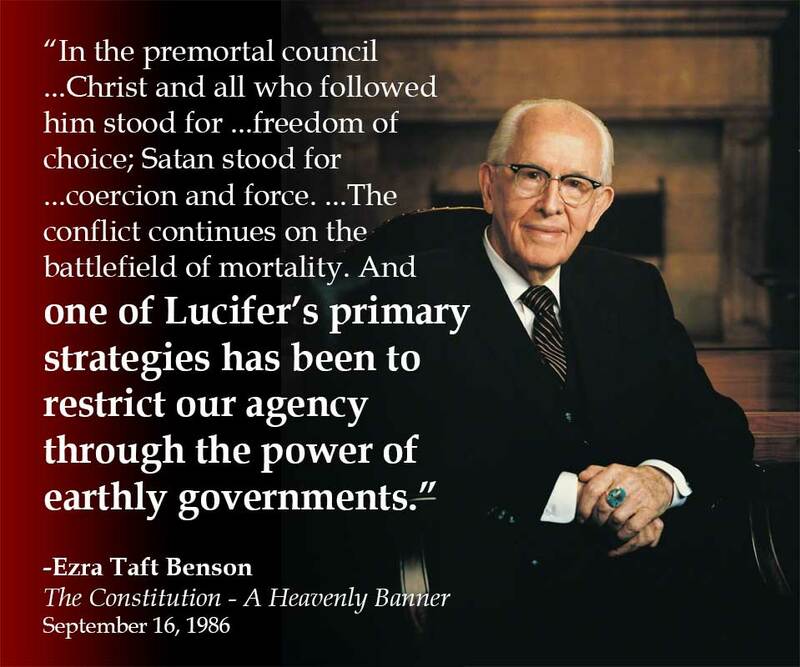 I recently re-read the talk and was impressed with what he said. 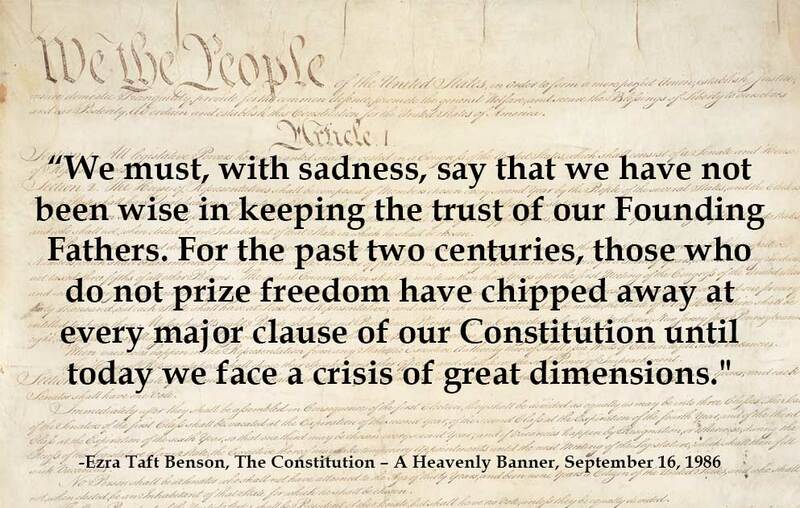 The concerns he addressed had clearly been on his mind for some time. 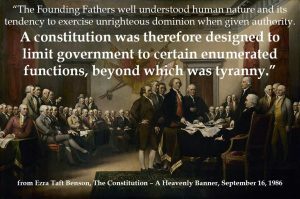 And if his imploring to return to Constitutional principles was that urgent and important in 1986, oh how important it is for us today!